Maston J. Sansom is a Partner with Shenker Russo & Clark LLP, and has extensive experience negotiating complex matters with both state and local governments. For almost 20 years, Maston has navigated the intricacies of New York State government. During this time, he has been fortunate to work closely with public officials and staff at the highest levels. In addition to serving as a lobbyist, Maston is also a senior attorney in the firm’s thriving Alcohol Beverage Control practice. 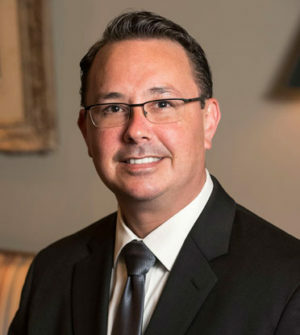 Prior to becoming a Partner with the firm, Maston was the Vice President of Government Relations at the Food Industry Alliance- the only statewide trade organization advocating on behalf of all levels of the grocery industry.As the organization’s lead lobbyist, Maston represented over 800 member companies. In addition to drafting and helping to pass new legislation, his achievements include securing a budget appropriation for assistance with critical environmental compliance measures. Maston also served as Treasurer of the organization’s political action committee. Before joining the alliance, Maston worked as the Director of Government Relations and Corporate Ethics at CMA Consulting Services, a leading IT company.There, he provided government relations support for the nation’s largest Medicaid Data Warehouse project totaling in excess of $159 million. In addition, Maston secured state grant funding of more than $100k to facilitate smart energy construction. Maston began his career in the NYS Senate Majority Counsel’s Office, where he worked for almost nine years.As Assistant Counsel, Maston managed a portfolio of issues which included Alcoholic Beverage Control, Campaign Finance Reform, Elections,Transportation, Motor Vehicles, Corporations,Authorities, and Commissions. In order to help solve broad, complex matters, Maston convened roundtable discussions with elected officials and Fortune 500 companies. Maston negotiated major issues such as the Public Authorities Accountability Act of 2005, as well as a law allowing the direct shipment of wine. In addition, Maston provided Senate leadership with analysis and recommendations on nearly 250 pieces of legislation each year.